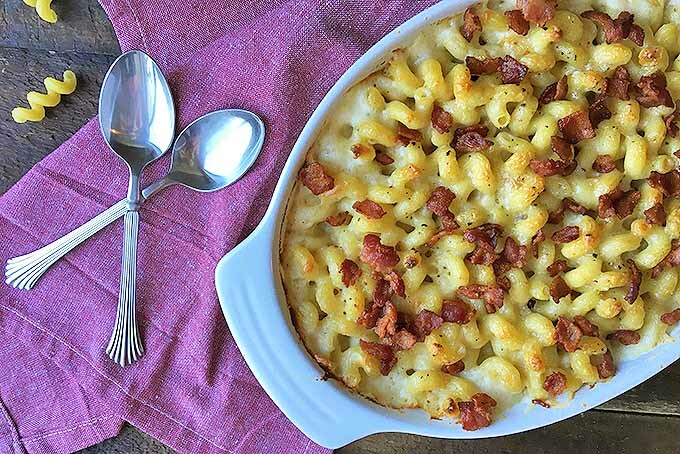 This ultimate comfort food classic is cheesy, flavorful, and irresistible! 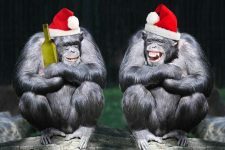 Your guests (and let’s not leave out yourself here!) 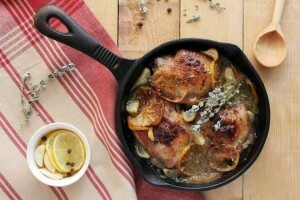 will love this for a relaxed, casual dinner. 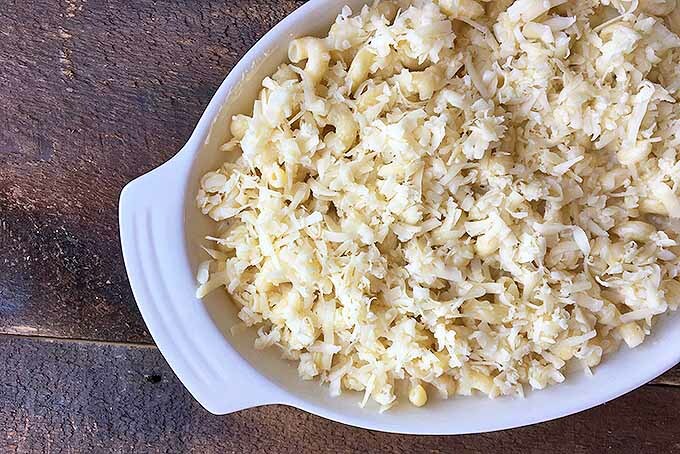 With handfuls of sharp white cheddar and Asiago melted into a thick, creamy sauce, this is one cheesy mac and cheese. 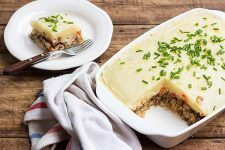 And topped with crispy homemade bacon bits, you might not have any left to save for leftovers – everyone will want seconds! This dish can easily be made in advance. Prepare everything ahead of time and pop it in the oven to reheat. Sprinkle the bacon bits on top right before serving to your hungry guests! 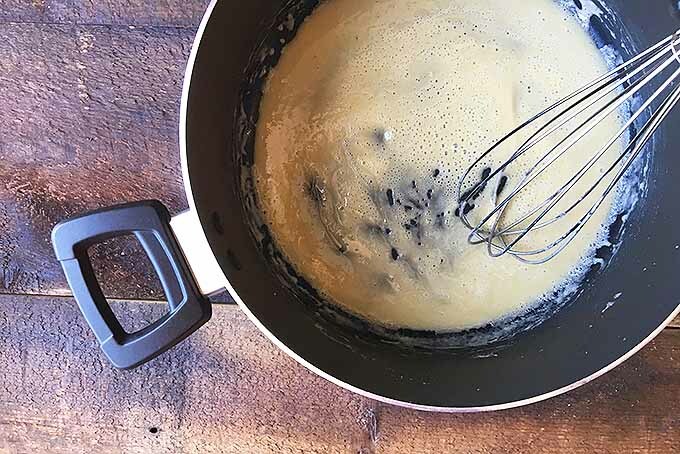 For this recipe, you will need to make a roux – but don’t be intimidated! 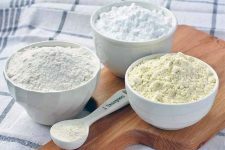 Check out our post on choosing the right thickeners for more information about different types of starches, and how to use them to the best of your advantage in your favorite recipes. 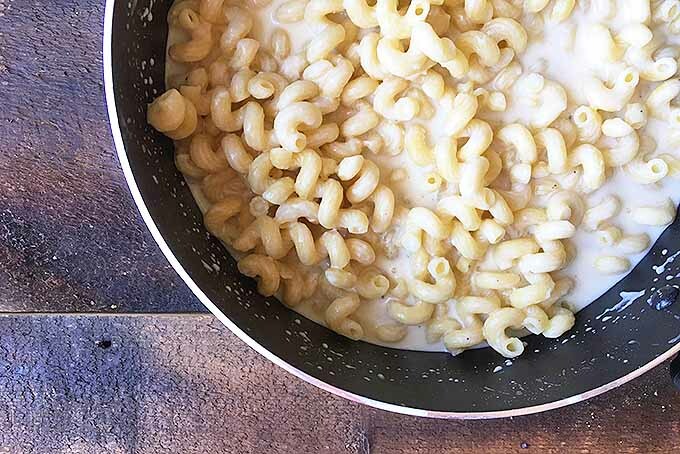 This mac and cheese is full of creamy, cheesy flavor everyone loves. Your family and friends will definitely want seconds! Preheat the oven to 400°F. Coat a large casserole dish with cooking spray or butter. Set aside. In a large pot, bring about 1 gallon of water to a rapid boil. Add the cooking oil and pasta. Cook until just al dente, approximately 7 to 8 minutes. In a medium saucepan, melt the butter over low heat. Gradually add the flour, stirring constantly with a whisk to prevent lumps. Cook for 5 to 10 minutes, or until the roux develops a toasty smell, and turns slightly darker. Add the milk, 1 cup at a time to the flour roux, whisking vigorously until smooth. Gradually add the 4 cups of cheddar, in addition to all of the Asiago. 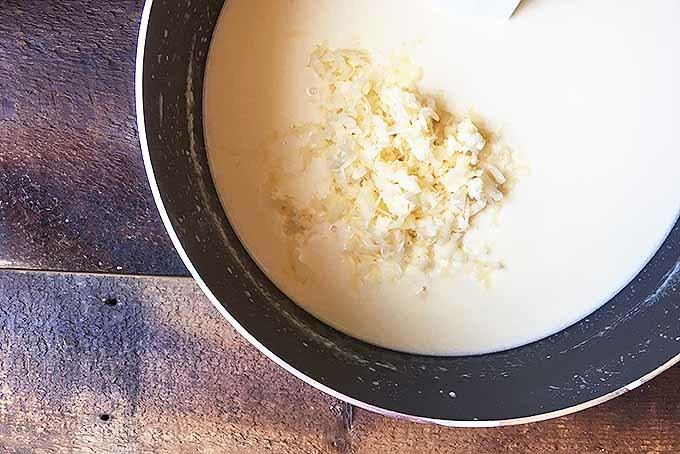 Continue cooking and stirring on low heat until the cheese is melted completely, and the mixture is smooth. Season with salt and pepper. Add the pasta, and fold it all together until completely coated. Spoon into the prepared casserole dish. Sprinkle the remaining 1 cup of cheddar over the top. Bake for 20 – 25 minutes, until hot and bubbling, and the top is golden-brown. While the casserole is baking, cook the bacon in a large heavy skillet until crispy. Remove from the pan and drain on a plate lined with paper towels. Remove the baked casserole from the oven and sprinkle the bacon on top before serving. Generously grease a large casserole dish with cooking spray or butter. Measure out the milk, flour, butter, and oil. 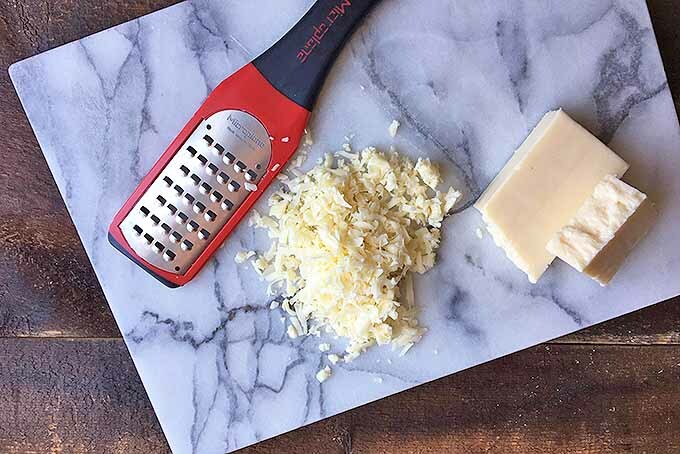 Shred the cheddar and Asiago with a sturdy grater, and set aside. With a sharp knife, chop the bacon on a cutting board into small pieces of a similar size. 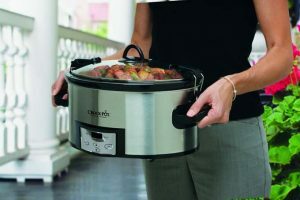 In a large pot, bring about one gallon of water to a rapid boil. Add the cooking oil and pasta. Cook until al dente, approximately 7 to 8 minutes. Drain, and set aside. You still want the pasta to have a chewy bite, because it will continue cooking in the oven. If you want to try your hand at making your own from scratch, read our helpful guide to making a basic semolina pasta dough at home! In a medium saucepan, melt the butter over low heat. Slowly add the flour, stirring constantly with a metal whisk to prevent lumps. Cook for about 5 to 10 minutes, staying on low heat. Slowly add the milk, about 1 cup at a time, to the roux, whisking vigorously until all of the milk has been added, and the mixture is completely smooth. Remain on low heat as you slowly add 4 cups of the cheddar and all of the Asiago. Continue cooking and stirring until the cheese is completely melted. Remove from heat, and season with freshly ground salt and pepper. Add the cooked pasta to the pot of sauce, stirring until the pasta is completely coated. Spoon into the prepared casserole dish, and sprinkle the remaining cup of cheddar evenly over the top. 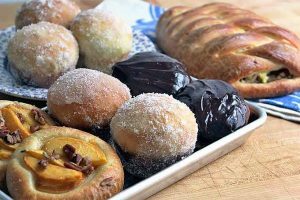 Bake in the preheated oven for about 20 to 25 minutes, until thoroughly hot and bubbling, with the top slightly golden-brown. While the casserole is baking, place the chopped bacon in a large skillet. Saute over medium heat until the bacon is thoroughly cooked, and the pieces are crispy. 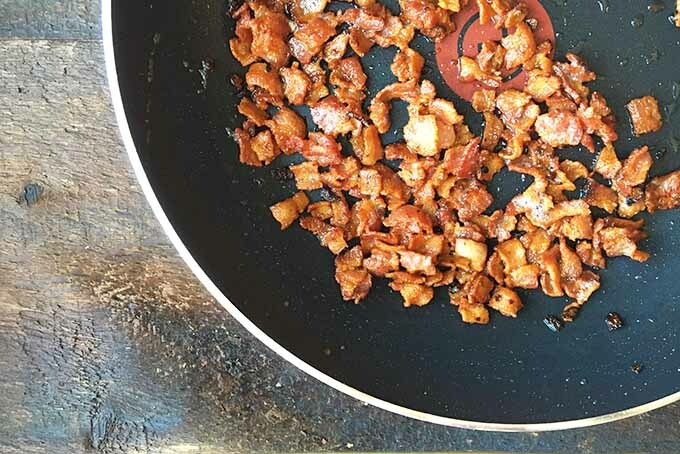 Remove the bacon bits from the pan, and place on a plate lined with paper towels. Evenly sprinkle the top of the baked casserole with the bacon bits, and serve hot! It’s a simple, yummy equation. When you combine pasta with a creamy sauce, and bake until bubbly and golden-brown, you are well on your way to pure bliss. All you need is one final touch: a generous sprinkling of crispy bacon bits on top for bursts of crunch and flavor. Ah, happiness never tasted so good! If you love this type of comfort food, you might also like to try our recipe for butternut squash mac and cheese, and our spicy buffalo mac and cheese. Looking for a little light reading to pair with this rich dish? 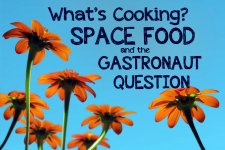 Check out this article on space food, about missing the comforts (and comfort foods) of home, from far away on the International Space Station, or even another planet. And if you have all those little nubs of cheddar left from grating, don’t throw them out! 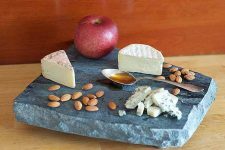 Learn how to properly store them, and use them for your next cheese plate. How do you like to enjoy your mac and cheese? Give us your best recipe ideas in the comments below! Photos by Nikki Cervone, © Ask the Experts, LLC. ALL RIGHTS RESERVED. See our TOS for more details. Originally published April 24th, 2015. Revised and updated August 23rd, 2017, with additional writing and editing by Nikki Cervone. There really isn’t much that’s more pleasing than a good Mac and cheese, is there? One thing I’d highly recommend for the leftovers (if there are even any lol) is to make a mac and cheese grilled cheese sandwich. SO GOOD. I like the way you think queenb, that sounds wickedly good! 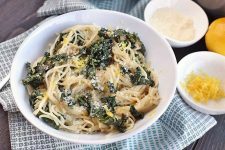 Nothing can beat this dish for comfort food and I do love it with some crusty garlic bread to wipe up the sauce. I add a handful of spinach to add some greens to it as it cooks itself. As a vegetarian, I like veggie bacon rashers and while you can add it on top, I may try just mixing the bacon mixture into the mac and cheese as it bakes. It really is one of those old time classics, and I’m sure the veggie bacon would add that extra bit of flavor depth. Concise and to the point, if I may add! 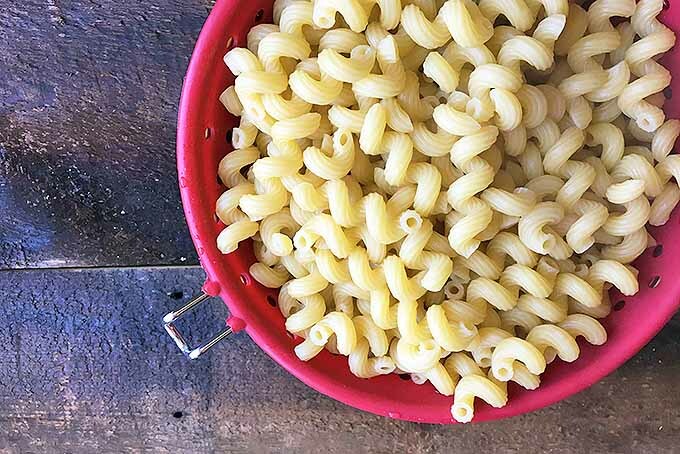 Mac and cheese has been my favorite since my early days in Romania where my grandmother used to make this using this recipe, but with little changes. She had her own way of doing it and I would kill to get some of it right now, haha! Good food crosses all borders, and mac ‘n cheese is an ambassador of all the finest memories of home. It’s been a good couple of decades since I’ve eaten mac n’ cheese but this recipe looks so tempting. I think it’s certain to be on the menu at my house within the week! Some crusty bread would be just perfect witht his dish.. 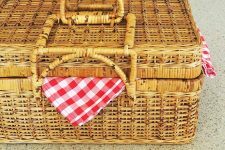 It doesn’t get served in my house much any more, but when it does it’s always popular… with crusty bread and a crisp salad, mmmm perfect! Do you add salt to the water when cooking the noodles? My assumption is that you used little to no salt in the recipe because of the bacon & the cheese making up for it. However, you really get no other option than to season the noodles when they’re boiling. I’m just concerned about the overall salt. Hi Joan, no I don’t add salt to the noodles when cooking, just a bit of olive oil to prevent sticking. As you pointed out, the bacon and cheese give it plenty of salty taste. 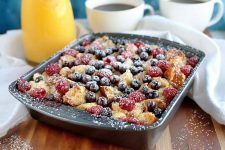 Looks yummy…am already hungry and if that casserole dish were nearby…i’d have more than two helpings 😉 …this is definitely being prepared on the weekend…if not this weekend, probably the next one 🙂 …awww… strips of bacon, i loove me some bacon, can i add ham to the mix as well?! You can add whatever you like diane! I’d eat bacon every day if I thought I could get away with it… let us know how it turns out for you. Seeing how I am not a huge fan of bacon, I would not think to put it in good ‘ole Macaroni and Cheese. This recipe sounds so delicious! I wonder if adding at least one cup larger than suggested for less people would give the same results. It would definitely be cheesy, but would it taste good? I think the taste would be fine AaliyahB, but you might run into a ‘stringiness’ issue if there’s too much cheese for the amount of macaroni. Man, just reading that recipe has given me a serious craving for mac and cheese right now! While I usually use sharp cheddar in my recipe, I also end to use Mozzarella and Ricotta with Italian seasoning to taste similar to White Pizza and instead of bacon, I use chopped pulled pork that is lightly seasoned since I’m trying to cut down salt in my diet. Good idea with the pulled pork instead of bacon SereneAngel, will have to give it a try. Thanks for sharing! When my husband what’s for dinner and I told him, he furrowed thinking it was the typical macaroni and cheese. But, he almost licked the plate after trying this. 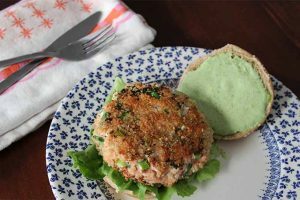 The kids also loved it, and this dish has become a family favorite already. I had a little trouble with the flour and milk the first time. I had to throw away the first flour roux because it was mushy and lumpy. In my second attempt I lowered the flame and added ½ cup of milk at a time. So glad you all enjoyed the recipe gaby, the bacon makes it pretty hard to resist! And thanks for your pointer on the roux, it can be a little tricky if the heat’s too high. Mmmmmm! 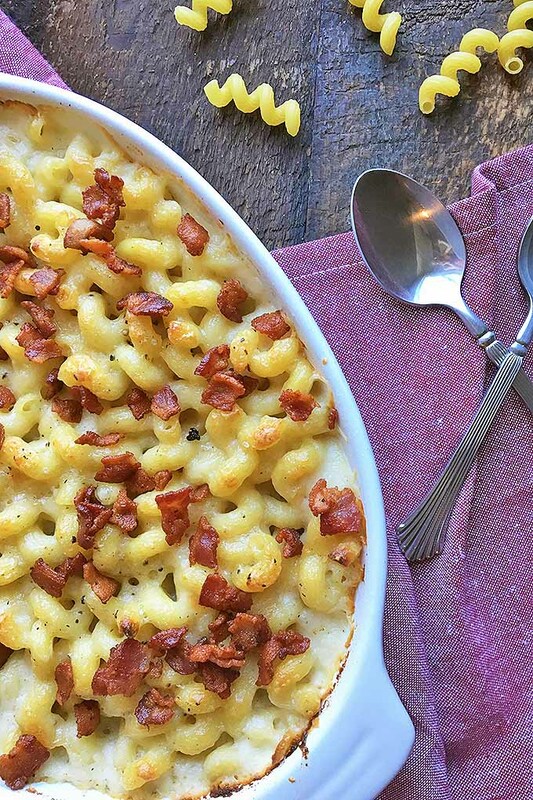 This mac & cheese with bacon recipe looks fabulous! 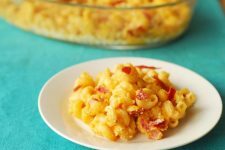 You know, bacon is such a common ingredient in recipes, and I’ve honestly never had inside mac and cheese. I’ve also never tried it with Asiago cheese, pepper or parsley either. This extra ingredients should really give this tasty dish an interesting treat. 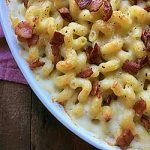 My kids are huge fans of mac and cheese, so I know they will absolutely love it! It’s a good one Michelle! The bacon really makes it a stand out, and the Asiago gives a nice tang too. Hope you all enjoy it! 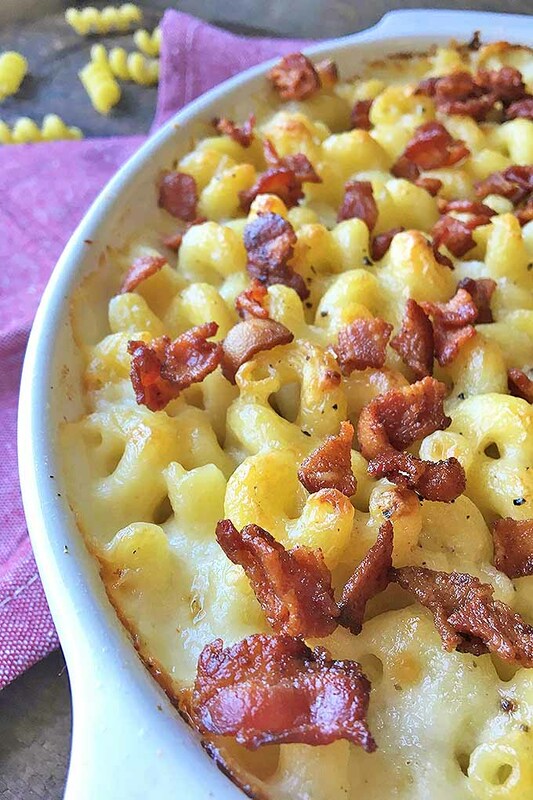 I’m a sucker for bacon and I love mac & cheese. That said I worry about sodium intake. If I could significantly lower sodium in this dish without making it taste bad I would try it. It’s a concern for a lot of us nytegeek. Vegetarian ‘bacon’ might work, but I haven’t tried it myself. 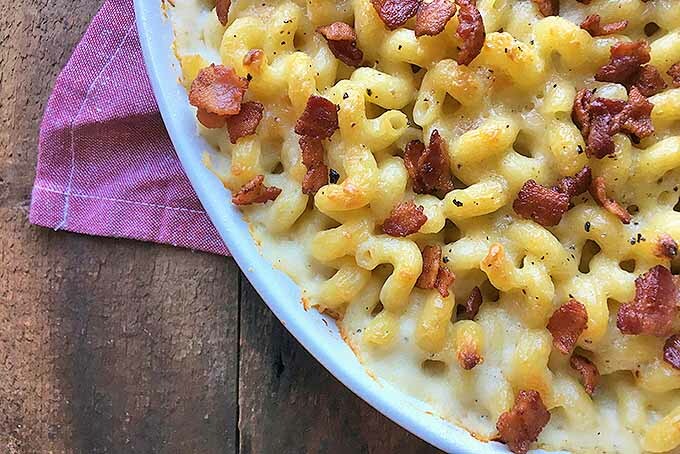 Macaroni and cheese is my favorite dish, and adding bacon to it? That is great! Thank you so much for the recipe. The only thing I could think of changing is adding a crispy bread crumb crust over the top. 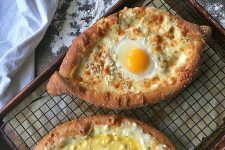 Do you have more cheesy delicious recipes?? The bacon’s definitely the secret ingredient HanaDyad, and bread crumbs work too. 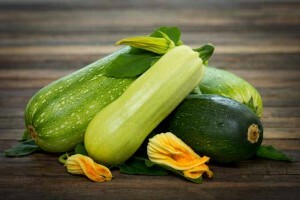 For cheesy recipes, do you ever make a cheese sauce for your veggies? Works well on cauliflower and broccoli. I am trying to eat healthy these days. 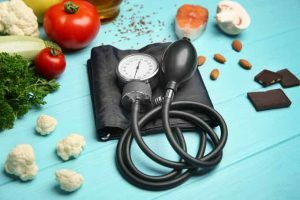 I try to eat as much of a plant-base diet as possible. But, when you talk about cheese and bacon, then my ears perk up! 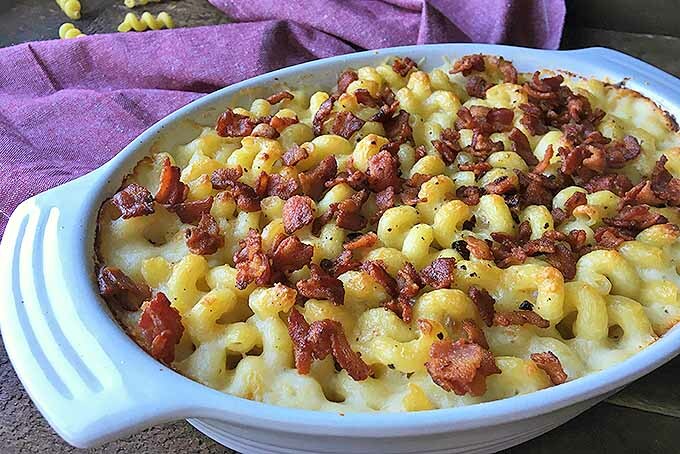 This is definitely a recipe I will try, because cheese and bacon are my go to foods when it is time for me to be naughty! Hope you enjoyed it Alexandria! It appears that it’s mac and cheese day it is for me. I was just checking out the squash butternut mac and cheese earlier, and now I found this recipe. 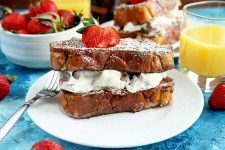 Another mouth-watering recipe. I could just imagine the goey goodness of the cheese. I’m not much of a cheese eater, but curiously I can’t seem to resist any mac and cheese. 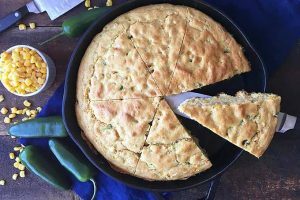 Kudos, this is another great recipe for the books!